Introduced back in 1988, the M1’s popularity steadily grew to exceed an amazing 100,000 users. As the first workstation synthesizer, it was a definitive element in the sound of the late ‘80s through early ‘90s. Along with its innovative "workstation" concept, the M1's "AI" (Advanced Integrated) synthesis system used PCM waveforms and digital effects to deliver fully complete program and combination sounds. As a pioneer of PCM tone generation, it was notable not just for the reality of its sound, but also for the distinctive resonance and tonal character that demonstrated the high level of Korg's voicing technology. 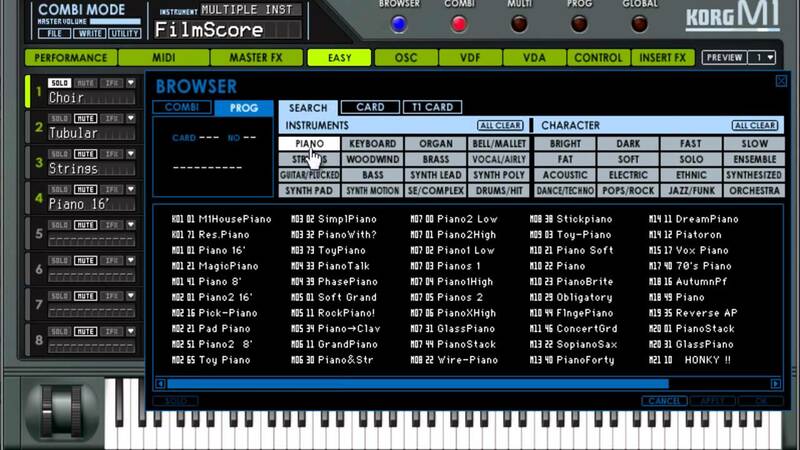 From the famous "M1 Piano" sound through electric pianos, organs, synth pads, drums, and picked basses, numerous sounds available only from the M1 were taken up by musicians and producers around the world, and are still in use today. Although today's high bit-rate and high sample-rate sound libraries deliver greatly improved audio quality, it is difficult to find sounds with real presence, sounds that can’t be described purely in terms of specifications – sounds that are available only from the M1. 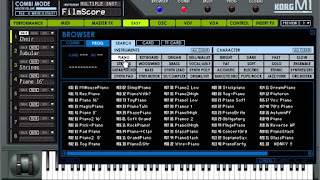 The M1 software synthesizer reconstructs the M1's sound engine into an eight-part multi-timbral tone generator featuring up to 256-note polyphony.